Network: HSPA+ 21Mbps/HSUPA 5.76Mbps 850/900/1900/1700/2100, EDGE/GPRS 850/900/1800/1900 Specifications above may differ on the LTE version. Processor: 1.2 GHz Dual-core Processor (OMAP 4460) Display: 4.65-inch 1280×720 HD Super AMOLED OS: Android 4.0 Ice Cream Sandwich Main (Rear) Camera: 5MP AF with LED Flash with zero shutter lag and fast shot2shot Sub (Front) Camera: 1.3MP for Video Call Sensor: Accelerometer, Compass, Gyro, Light, Proximity, Barometer Memory: 1GB RAM + 16/32GB Internal memory Size: 135.5 x 67.94 x 8.94 mm, 135g Battery: Standard battery, Li-on 1750 mAh. The driver file is included in the above GNex “root packages”. I’m betting you’ll have a little more success now. Cheers and I hope that helps! 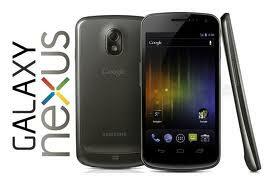 Related Posts of "galaxy nexus drivers"